The first sod of the first mine construction was turned on 3rd March 1952. According to the project, Troyanovo-1 mine had 525,300,000 tonnes of coal reserves at an average stripping ratio of 2.44 cubic metres per tonne of coal. The first 117,100 tonnes were extracted in 1960. The mine has been regularly operated since 1961. On 19th June the same year the exploitation of the first electrified double railroad from the overburden horizons to the external dump site (12 kilometers long) commenced, and that was the beginning of the transition from steam to electric traction. While in 1961, the first year of operation, 1,404,000 tonnes of coal was produced, in 1965 production increased to 6,059,000 tonnes. 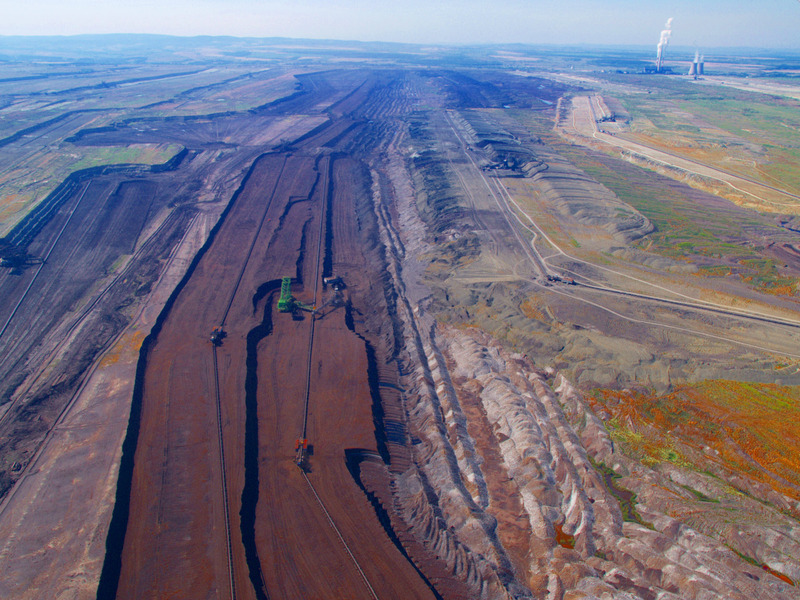 12,585,155 tonnes of coal was produced in the mine in 2012 – a production record for the whole period of its existence. Since its commissioning until 31st July 2012, Troyanovo-1 mine produced 363,544,757 tonnes of coal and removed 1,051,741,000 cubic meters of overburden. Troyanovo-North Mine is located in the northern part of the Maritsa Iztok Basin productive area. Its northern border is that of the coalfield itself and it borders Troyanovo-1 Mine to the south. The construction preparation activities began in 1960 when the bed of the Ovcharitsa river was dislocated from the area of the future mining; makeshift lodgings were erected near the village of Kovachevo and the construction of the connecting line to Troyanovo-1 Mine started. 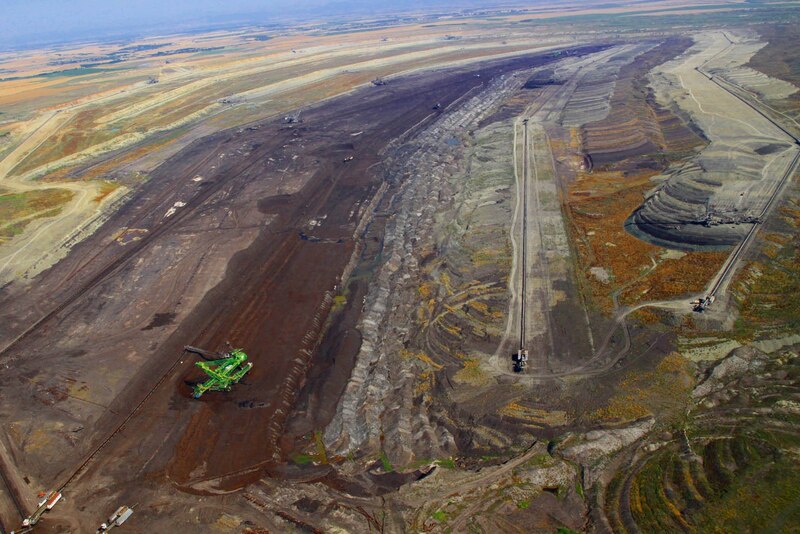 During the first year of operation, 307 thousand tonnes of coal was produced at Troyanovo-North mine. 343,683,779 tonnes of coal was extracted since its commissioning until 31st July 2012 and 1,582,542,542 cubic metres of overburden excavated. Troyanovo-3 Mine is located in the southern part of the Maritsa Iztok Basin and is in the form of a rectangle with west-east orientation and a length of 12 kilometers, about 2.5-3 km wide (along the north-south border). The payable reserves are calculated at 336,230,000 tonnes. The coal layer is located at an average depth of 70-80 m.
Unlike the first two mines, the Troyanovo-3 mine project was designed by a team of MINPROEKT, the Bulgarian Design Institute, and only rubber belt conveyors instead of railroad transportation was planned. Thefirstsodforitsconstruction was turned on 24th March 1964. The first overburden flow-line was commissioned in 1967. Coal production started in 1969 and 1,357,552 tonnes of coal was produced then. 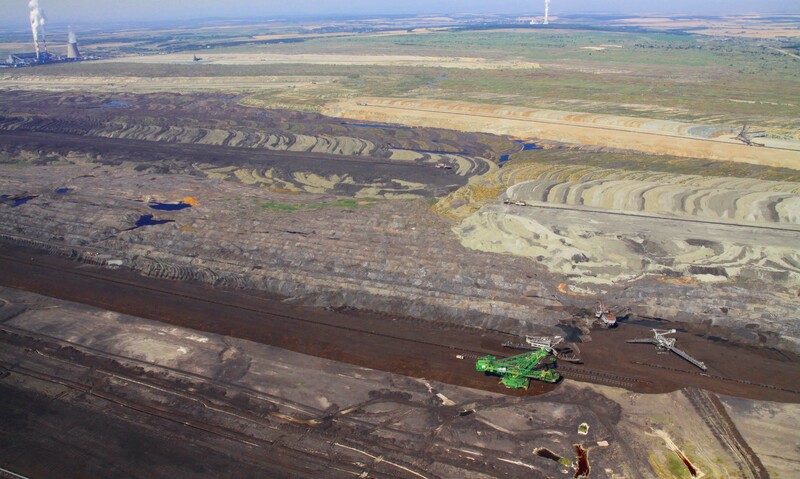 Since its commissioning until 31st July 2012, 292,523,870tonnes of coal was produced and 1,535,611,100m³ of overburden removed at Troyanovo-3 mine.